Home » Galleries » Picture This: Abandoned and Discarded » Whose Turn to Wash the Dishes? 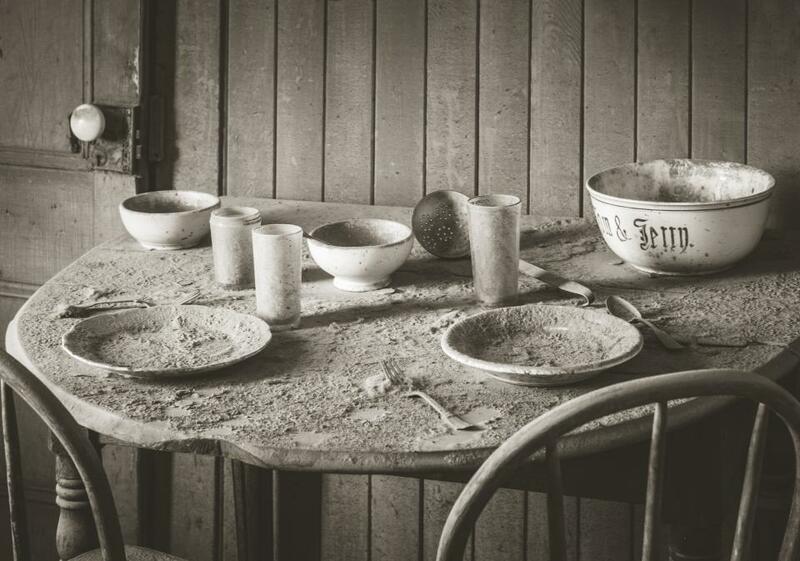 It's like the residents of this old, abandoned home were suddenly called away and left in a hurry without even packing their tableware. What pulled them away so urgently? This image just had to be presented in monochrome to emphasize its simplicity; lit only by the natural light creeping into the room from its sole window. Nikon D800, Nikkor 28-300mm lens, 1/13 sec at f10. Whose Turn to Wash the Dishes? The composition, story, and textures in this image are in great harmony. Your choice of monotone really helped make this a great photo and the tint is just right.